Dreaming of summers in Spain? This blend brings some pre- or post-siesta fun to your next backyard party. Dreaming of summers on the coast of Spain? 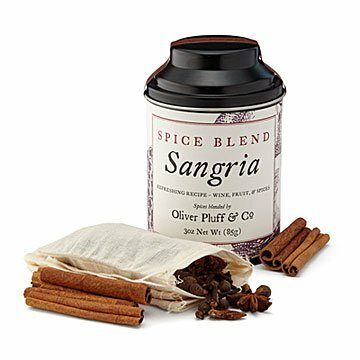 Bring a little of that pre- or post-siesta fun to your next backyard party with this sangria spice blend. Fill each of the three muslin spice bags with rich, aromatic spices like cinnamon sticks and star anise. A recipe is included, but here's the gist: steep the spices, add your favorite red wine and fruit, chill overnight, and voila— up to three gallons of fresh, flavorful sangria. We'll bring the tapas. Hand-packaged in Charleston, South Carolina. Yields 3 gallons spiced Sangria.